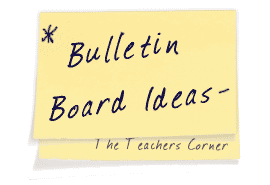 Our Special Event Bulletin Board Ideas page will provide you with great resources for a number of event related topics. Our bulletin boards will help you integrate various activities into your daily curriculum. 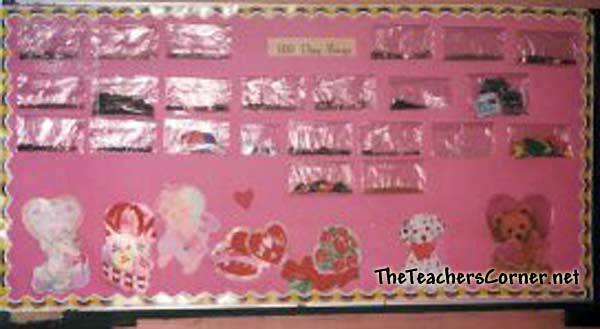 Ideas within the special event bulletin board pages include resources for the following: 100th Day of School, Drug Awareness. Our guidance counselors at school created this board to promote our statewide standardized test. The used a yellow background. 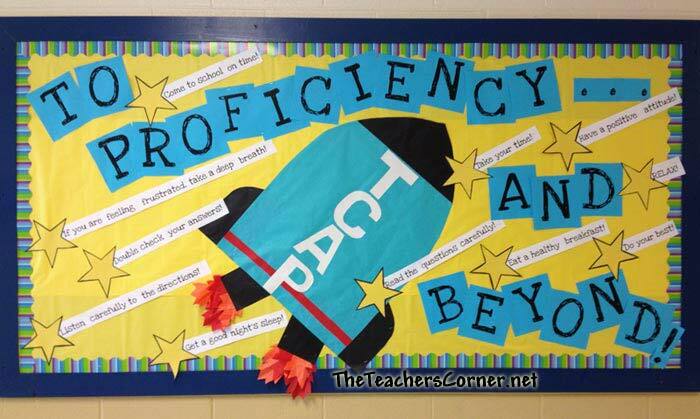 Cut out a rocket and the saying was "To Proficiency and Beyond". Here's a very simple idea for the 100th day of school! About a week before the big day, pass out a gallon size ziploc bag to each student. Tell them to fill it with 100 of the same objects of their choice. Staple each bag to the board as they come in. Use the bags for estimation, measurement, comparisons & much, much more!! Be sure to visit our Seasonal area for more great resources. Have your students design their own "Say to No Drugs" posters and use this as the bulletin board. My fourth grade class did a bulletin in the form of a quilt one year. We discussed alternative activities to do instead of doing drugs. The children then drew pictures of these activities and we placed them together like a quilt. We incorporated math into the project by having them decide how many rows horizontally and vertically (multiplication). After the squares were in place, they put x marks to connect the squares together as in a real quilt. The quilt was educational for the children as well as fun to do. We had a door decoration contest for last week on Drug Awareness. The door that won had on it. . "No Bones About It... We are drug free!" Each student had used q-tips and made skeletons on black paper. They used chalk to add various parts like the head, face, etc. It was so cute and tied in well to the study of the body. Email us your special event bulletin board ideas and pictures using the link at the top of the page!